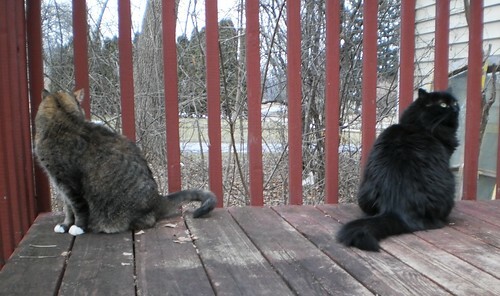 Yesterday, I came home from work and let the girls out on the deck. It was 58 on the last day of January. A thin sunshine worked its way through the over cast. We sat on the deck and smelled the early smells of a spring unsure of what was going on. We enjoyed a few minutes on the deck with a light breeze. Last year, after work time was the leading edge of what we remember as the 4th worst blizzard in Chicago history. Yesterday, at 1, we went into Mike's office and said, with smirks on our face, that a year prior, we had gone home at 1 due to the weather. He laughed and said, "Ah...no. Everyone back to work." I went home on that Tuesday and didn't leave until the next Monday. I look through my collection of blizzard photos and it all comes flooding back to me, the snow, the cold, particularly, the need to shovel because there wasn't anyone to help me get out. We've had 10 inches so far this winter, which is less than half what we got in one fell swoop at the beginning of the month. I expect the weather to vary year to year, but this does seem rather radical. There is still a month and a half of "winter" left. 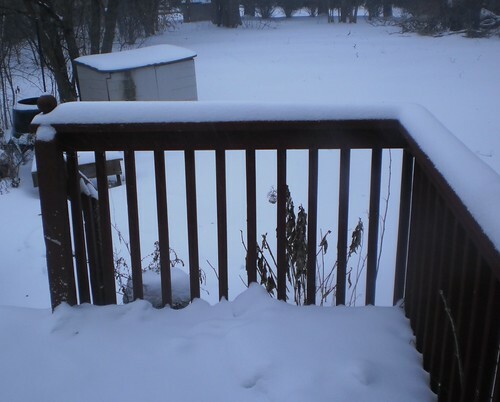 The snow shovels sit on the deck, almost begging to be used. 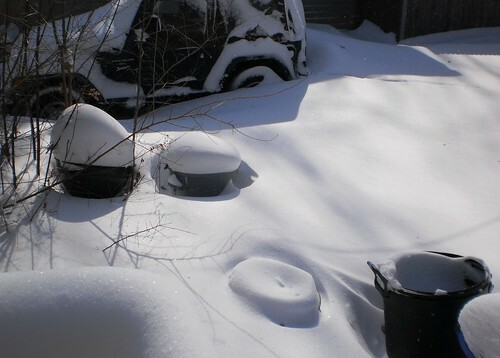 I'm not that upset that I've only done one shoveling so far. That was quite enough. I do miss the white of snow, after all I live where winter equals snow. There's a magic when the snow sticks to everything. But, if I had to choose between this and the afternoon above with the girls, I'll choose the afternoon. This makes for a story to be told and retold over the next years, but not something my achy muscles want to handle.